Healthy veins are paramount to a healthy life as they have the job of carrying our blood all over the body, lungs and heart, in order to be renourished and sent back out through our arteries to complete the cycle once again. And since the human circulatory system will come full circle thousand’s of times in the life of a person, this is why healthy veins are the best kind. Research shows that approximately 20 to 30 million people in the United States suffer from venous disorders, most of them women. 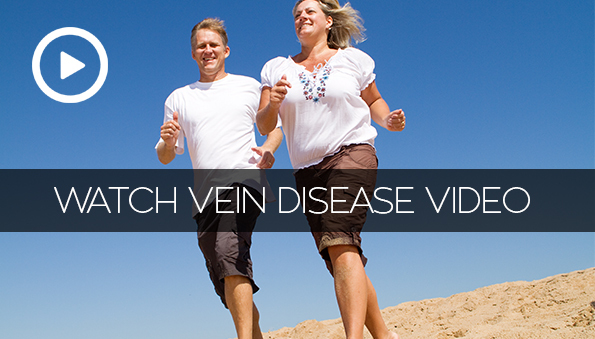 Although genetics play a huge role in developing vein disease, other factors can increase the likelihood. These include but are not limited to: professions spending lots of time on our feet or off them (sedentary), age, lifestyle factors like smoking, being obese or over weight. These all increase the likely result of unhealthy veins. Since our veins walls have elastic attributes and small valves that help keep the blood flowing back in the direction of the heart, sometimes these aforementioned factors will affect the role of the vein function. If you fall into any of these categories, you should be aware that there are effective treatments available with minimal, if any, pain. The most common disorders include varicose veins, venous insufficiency and spider veins, and though they’re usually not a huge concern, venous insufficiency still puts stress on your circulatory system and may lead to more severe complications, such as ulcers, blood clots, stroke, and even death.